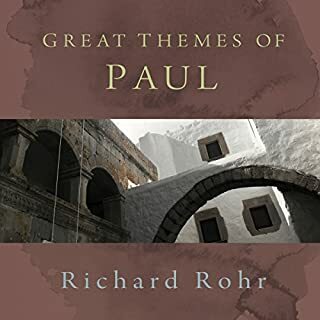 In language that Paul might use if he were preaching and writing today, Rohr presents Paul’s all-embracing vision and invites us to enter into the mystery of Christ and be transformed. Rohr breaks new ground by applying up-to-date theories of our universe, integrating them with Paul’s revolutionary thinking about sin, saints and spirituality. Richard Rohr leads us through the social, political and environmental setting out of which Matthew brought Christ’s radical message of a new world order. He explains Matthew’s challenge to let go of the conventional wisdom that comes with contemporary American culture. Each of seven talks brings us closer to the heart of the Sermon. Finally a way to understand the ancient scripts!!! Rohr reprises his best-selling talks on scripture in this powerful new series. He describes the Bible as a text in travail, containing not just conclusions, but a process that mirrors our own journey (three steps forward, two steps backward). In the three steps forward, Scripture always reveals that we are related to something infinite and that ours is an enchanted and trustworthy universe. In this exploration of the central themes of Scripture, Richard Rohr transforms the written word, discovering in these ancient texts a new and vital meaning, relevant and essential for modern Christians. 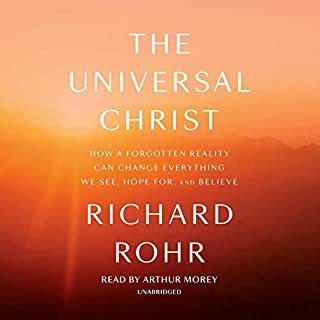 Rohr offers his listeners a Christian vision of abundance, grace, and joy to counteract a world filled with scarcity, judgment, and fear - a vision that can revolutionize how we relate to ourselves, others, and the world. Opening the scriptures to thought. Why I Am Catholic traces Brandon Vogt’s spiritual journey that culminated in the realization that Catholicism was right about a lot of things and serves as a compelling reproposal of the Church for former Catholics; a persuasive argument for truth and beauty to those who have become jaded and disenchanted with religion; and at the same time offers practicing Catholics a much-needed dose of confidence and clarity to affirm their faith against an increasingly skeptical culture. By: Richard Rohr O.F.M., Thomas Keating O.C.S.O. 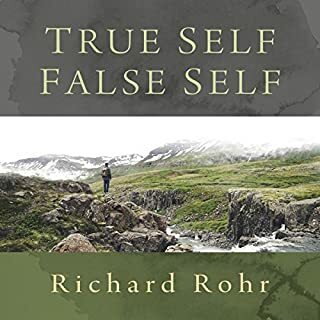 Narrated by: Richard Rohr O.F.M., Thomas Keating O.C.S.O. Two internationally known spiritual guides explore integrating our inner and outer journeys. They challenge us to confront our inner and social violence and bring it to healing and transformation in a sacred and ecumenical context. Rohr and Keating each give insights on awakening to God's friendship, coming to know God and ourselves, growing in love through centering prayer, facing evil around us and our demons within us as well as opening our deep selves to divine therapy which heals our wounds. Francis of Assisi is one of the most beloved of all saints. Both traditional and entirely revolutionary, he was a paradox. He was at once down-to-earth and reaching toward heaven, grounded in the rich history of the Church while moving toward a new understanding of the world beyond. 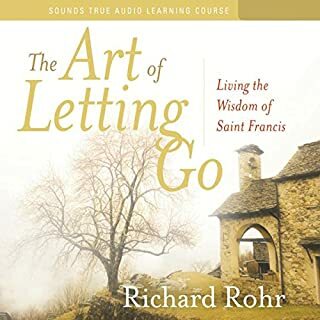 Franciscan Father Richard Rohr helps us look beyond the birdbath image of the saint to remind us of the long tradition founded on Francis' revolutionary, radical, and life-changing embrace of the teachings of Jesus. In our culture, the “good life” means getting more. This series of retreat talks challenges listeners to subtract--to release whatever hinders us from siding with the cosmic Christ, whether that be in our inner world or our outer world. Father Rohr offers a daring vision which calls us to surrender, to liberation, to making room for real freedom. This unabridged audio version brings to life an exciting combination of the seven basic elements that make up the print version. Musical accents subtly underscore the beginning of each chapter. The meditation and prayer elements, with six different readers, both men and women, including Archbishop Donald Wuerl, bring the text to life. Richard Rohr ddresses one of the most vital questions for new and lifelong Catholics. He draws on his own prayer, study and preaching experiences throughout the world to ask "What is good about being Catholic?" This series invites listeners to explore the breadth and depth of their faith. "Most Catholics are not Catholic/catholic enough," says Rohr. He discusses both the shortcomings and strengths of the Catholic Christian tradition. Talks include: "The Catholic World View"; "The Shadow Side of Catholicism"; "Living as a Catholic in the United States Today"; "Our Heroes and Heroines". Each talk is followed by a penetrating question-and-answer session. 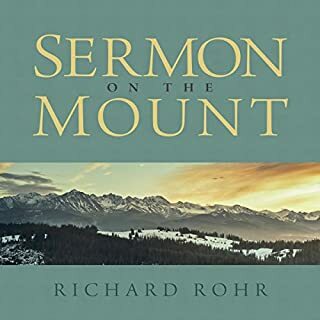 This was a good recording of a lecture series that Rohr did back in 1985. It’s over 20 years old and many of the problems he talks about are still here. Most of what he shares is pretty timeless. The only real complaint I have is that during the Q&A part at the end of each lecture it is nearly impossible to hear what the audience is asking. He often summarizes the question before answering, but not always. I really enjoyed listening to these conversational talks by Father Richard Rohr. Although they were recorded a while ago, the messages are still very much applicable to today. EVERY Catholic, especially modern Americans (he speaks in Ohio, so he sometimes references the American experience), should listen to these talks. Rohr's cadence of speech reminds me of Dr. Randy Pausch, which is a high compliment since I have listened to his Last Lecture multiple times. Rohr's talks definitely get you thinking about who you are as a Catholic and who you were meant to be. If you plan on listening to this in your car, dont. I missed at least a quarter of what was said because the audio didnt pick up his words or the audience questions. 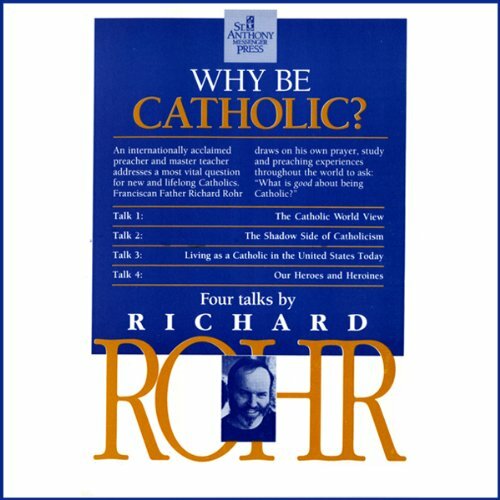 Fr Rohr has great insights and challenges my thinking on what it means to be Catholic. I was disappointed that the questions posed by the audience were largely inaudible. This is over 33 years old?! What Fr Rohr speaks of is more pertinent today than ever! How do we define who we are as a Church as as a Holy people? Who do we turn to for examples? I was so moved by his words and am astonished at how needed those lessons are to help guide us in ministry today. I highly recommend this book! i found the presentation too monotonic, which caused me to struggled to finish the book. Very thought provoking & inspiring series of talks! I thoroughly enjoyed listening to this presentation and will probably listen to it again in the near future. I loved the exploration of the Saints and has even started reading up on some of them to educate myself better. Interesting how the church still struggles with this 30 years later. Something all Catholics should read so we can see how to entice newer generations to join and regenerate as God planned it. And allow God's will into the church not creating laws and environment to control it. I thought this was going to be a nice analytical view on Catholic values and ideas but it is much more. I think every Catholic needs to listen to these lectures which are quite easy to listen to and discuss afterward as although the ideas are a little 'high brow' it is just enough for you to grasps and open a discussion. Not that this will make me religious or even believe in a supreme being but it is interesting to try and understand religion and in this case religion from the inside. The most worthwhile book I've ever read. Provides a philosophically and theologically rich discussion that is grounded both historically and in the present, that talks to the individual as well as the body of the church. This book is in equal measure informative and inspiring. 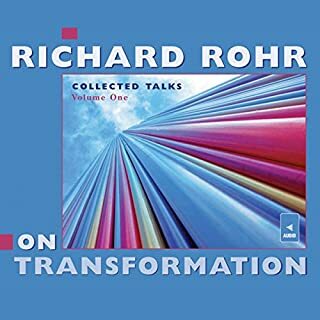 still good but as Richard Rohr himself admits at the end if the recording, he is tired from 14yrs of public speaking and it shows. still..much respect and still worth a listen.